She was the first girl to ever talk to Kiyoshi Fujino. After seeing a sumo wrestler eraser that Kiyoshi dropped, she thought they both liked sumo wrestling. 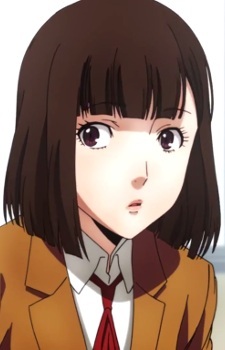 She is the younger sister of Mari Kurihara, the Underground Student Council President. Continuing from the previous episode with toilet themes, the price of seeing Hana peeing unfortunately equates to her forcing you to pee in front of her. Is it your fault though when Hana gets too close while you pee? The first episode recap for Prison School, a story about 5 school boys who are accepted into a newly co-ed boarding school. The catch? There are 200 girls to 1 boy, and the boys must suffer the consequences of their bad behavior.